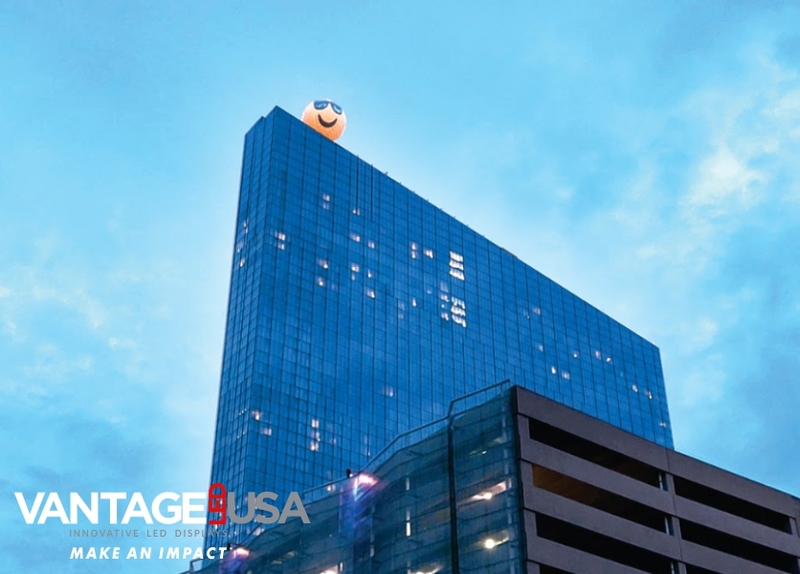 ATLANTIC CITY, N.J., September 19, 2018	(Newswire.com) - Exclusive feature in Sign Builder Illustrated, Sept 2018: Until recently, a faulty digital display in the shape of a sphere represented an Atlantic City casino property with a long and troubled history. 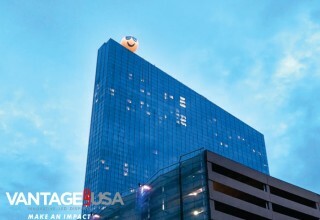 When new owners took over and renovated the property into the all-new Ocean Resort Casino, they also sought to rejuvenate this rooftop digital sphere to light up the skyline once again. 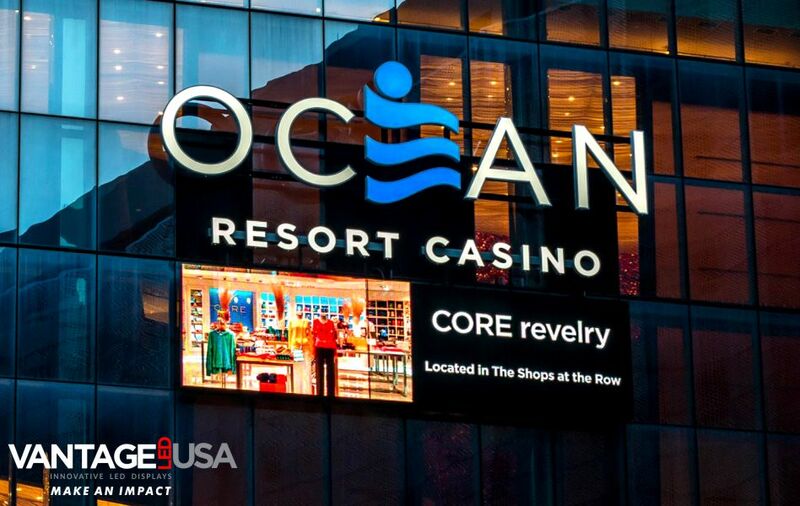 To achieve this goal, Ocean Resort’s new owners called on New Jersey-based Eastern Sign Tech to work on the project, and the sign company brought in its partner, Vantage LED USA. 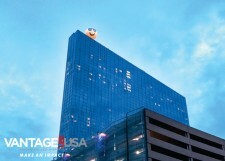 They wanted to show people that if the sphere could be revitalized, the casino could be revived, that it could rise up and be a success. 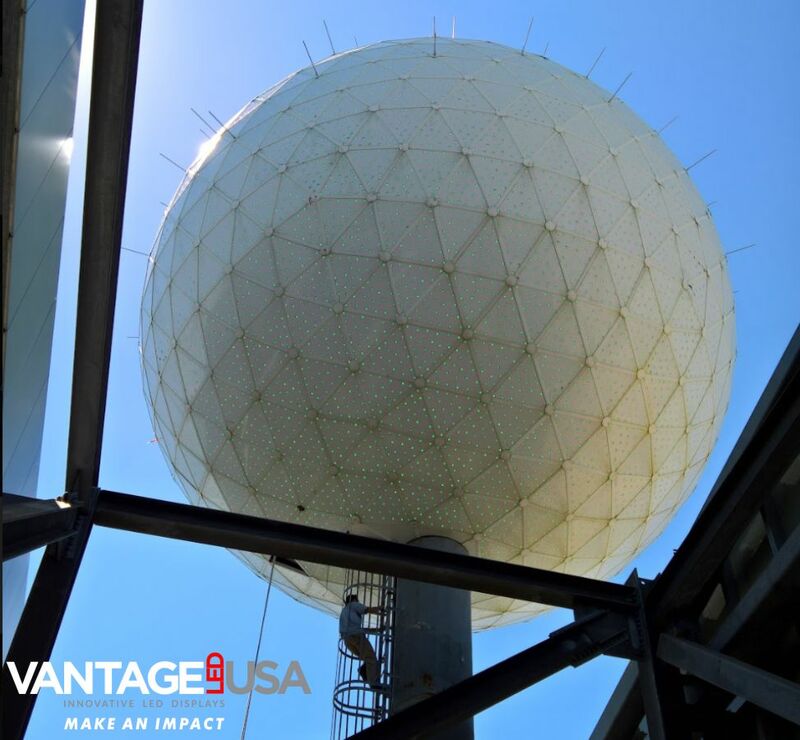 To make things even more challenging, Vantage had to design for content that would wrap around a sphere in a shape called an icosahedron. Basically, content is displayed across the 20 sections or faces of the icosahedron sphere. Each of those sections is made up of three subsections. Each subsection is broken up further into seventeen triangles. In each triangle, there are twenty-one LED pucks. In total, almost 22,000 LED pucks make up the digital sphere. 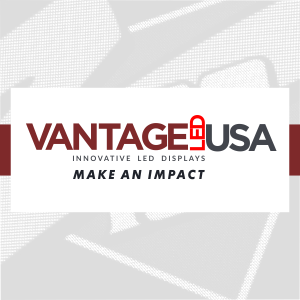 Vantage also reduced the main service voltage from 480 volts to a standard 240 volts, and now, it uses about 30 percent less power. 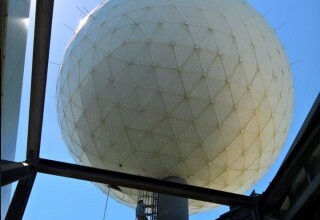 Re-engineering and calibrating the new sphere was only half the battle. The other half was the time-consuming physical labor put in by Eastern Sign Tech to strip the old components and install the new ones -- including all 22,000 of the LED pucks. “This was a really labor-intensive project because all of those pucks had to be hand-placed and tooled and checked. It was impressive that Eastern Sign Tech did all that in the timeframe we were given,” says Wardlow, who explains that the timeline shrunk from eighteen weeks down to just eight weeks. 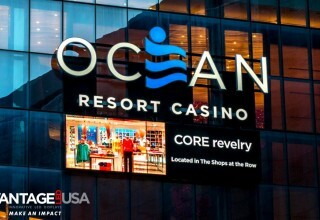 In addition to the sphere, the project included an 8-foot-by-30 foot Flex-V Series 20mm RGB digital display from Vantage at the boardwalk level, which is also controlled by SM Infinity and advertises not only what’s going on in the casino, but also in the community. When the project was finished, the feedback from the community was tremendous. “The ownership, the executive team, marketing, everybody is impressed and loves it,” said Maletich. Original Exclusive Article as released and featured only by Sign Builder Illustrated, Sept 2018.